Pop and soul combine in the music of Natalie Prass, who appears on this week's broadcast of Mountain Stage. Our Song of the Week comes from Ohio-born, Richmond, VA native Natalie Prass, who brought her band to Marietta, with songs from her sophomore album The Future And The Past. Our preview of this week's show is the fun, uptempo soul track "Short Court Style." Recorded in Richmond with producer Matthew E. White, Prass tells us in her set that the recording console used in the making of The Future And The Past was used first in Ohio for acts like the Ohio Players and others. This week's episode features Red Wanting Blue, Todd Burge, Gurf Morlix, Jill Sobule and Natalie Prass (From left). 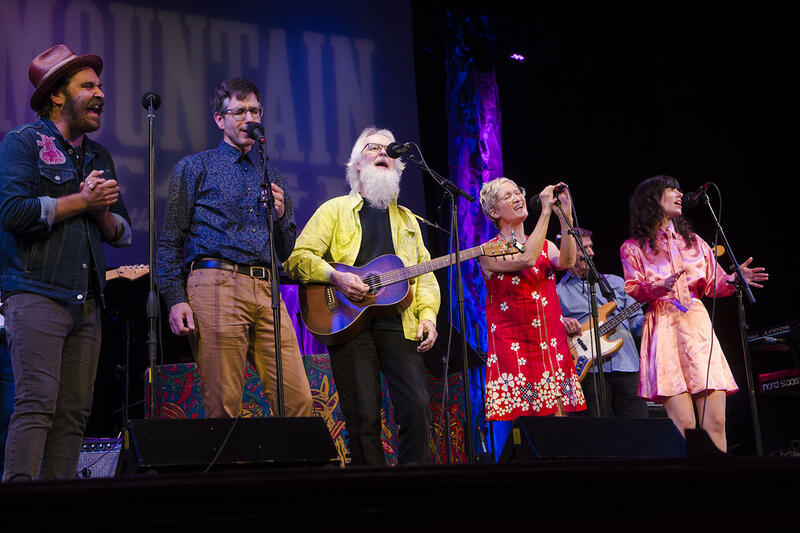 Hear the entire set from Natalie Prass and her band, plus performances from the incomparable Jill Sobule, Ohio rockers Red Wanting Blue, songwriter Todd Burge and guitarist/songsmith Gurf Morlix, on this week's brand new episode of Mountain Stage with Larry Groce. Find out where you can listen and be sure to subscribe to our podcast so you don't miss a note. Theatre West Virginia in Raleigh County was founded as a way to preserve and share West Virginia’s unique culture. Some long running plays include "Honey in the Rock" and "Hatfields and McCoys." This year, the organization added "Paradise Park The Musical" to the list.